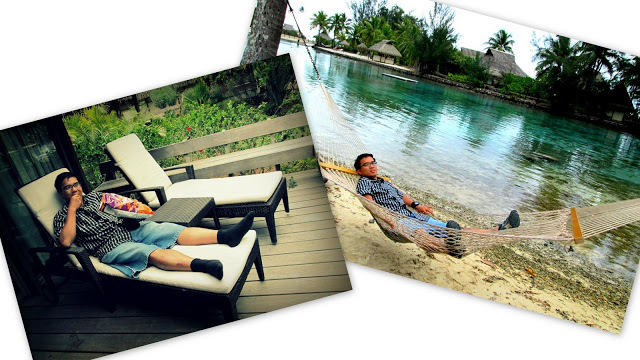 Intercontinental Moorea Resort & Spa: How to have an Awesome time Staying at your Beach Bungalow! Whew! What a mouthful of title for a blog post, but it’s really the best way to sum this up. 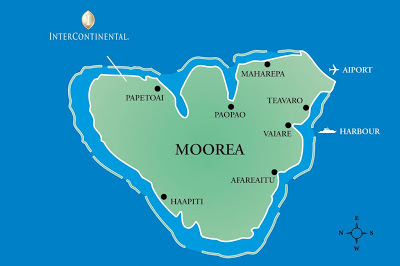 Our first stop was Moorea. 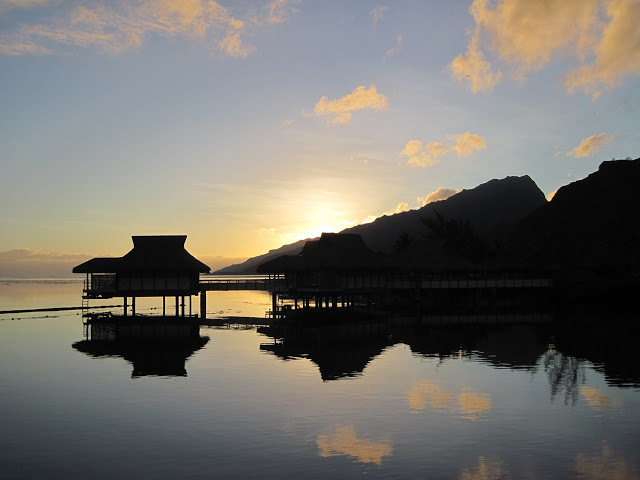 Moorea is the nearest island to Tahiti. You can take a 20 minute ferry ride (which probably would’ve been more fun), but we took a 10 minute plane ride as part of the package of this entire wonderful fantabulous vacation. 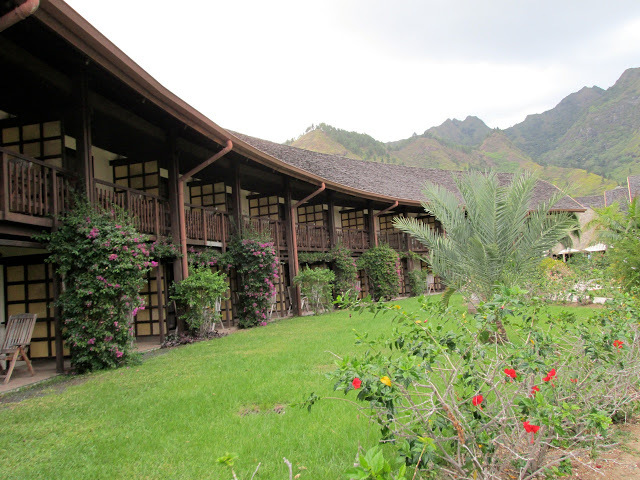 We stayed at the Intercontinental Moorea Resort & Spa. 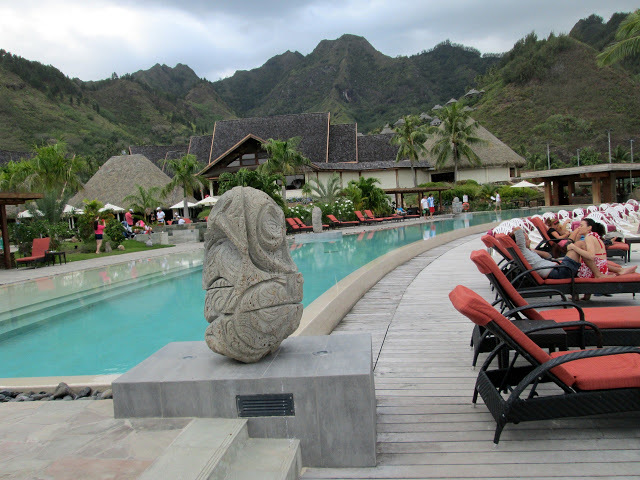 Located at the Northwest side of the island and spanning 11 hectares, it’s one of the most sprawling resorts in Moorea. What I love most is that the hotel is sanctuary to dolphins and home to the sea turtle sanctuary. The lobby is very airy and spacious. 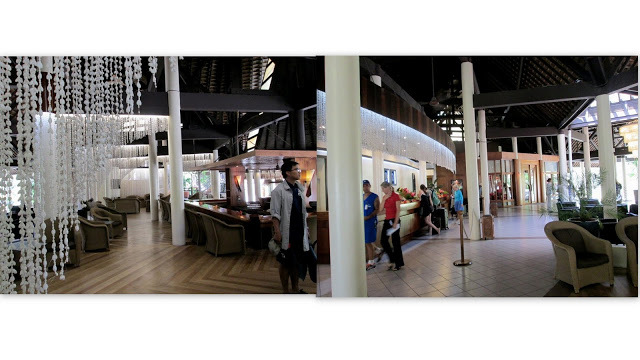 Probably the trademark of all Intercontinental Resorts reception style (as also seen at Fiji’s Intercontinental Resort Golf and Spa). Check in was very quick and convenient, they give you refreshments, and as soon as we were checked in, we were whisked away to our Beach Bungalow via a buggy cart. the sofa can be turned into a small bed for a child if travelling as a family. and this is the direct view when you are standing in the living area. 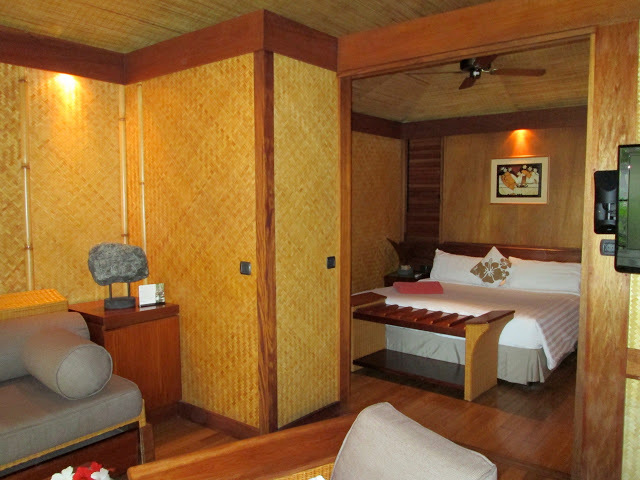 HOW TO ENJOY YOUR TIME WHILE STAYING AT A BEACH BUNGALOW. this was the very first thing I did when we settled down in the bungalow. 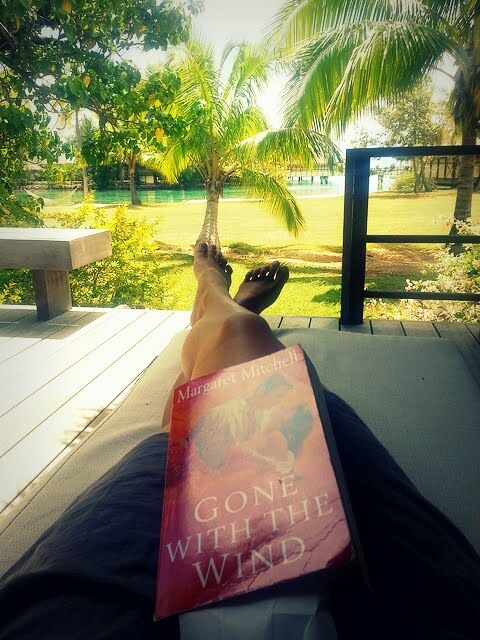 I had Gone With the Wind with me throughout my 6 week holiday, and I actually finished the book in Moorea. I have to warn you though that it will be a short-lived attempt at reading because the cool breeze and the relaxing atmosphere will have you dozing off in seconds. While I read, the Zombie on the other side of the open balcony, was munching on Cheetos sleepily like a Tahitian royal (hmm, yeah…maybe not). A few steps from the bungalow was the water which had a hammock that was just too tempting to take a siesta in. And why shouldn’t you take a siesta? After we shook ourselves out from sloth-indulgence mode, we saw a timber pontoon in the middle of the lagoon. We swam to it and played cannon-ball and tried to out-do each other on who was the better mid-air pose. You be the judge– I created the bigger splash! There really wasn’t much sea creatures in the lagoon / beach directly in front of the beach bungalow. You have to venture further out. But you can practice first on “calmer waters” here, especially if you’re not that used to snorkelling. Use this as sort of practice grounds for when you do island day trips and if you decide to venture into the deeper seas (like the waters in front of the overwater bungalows). 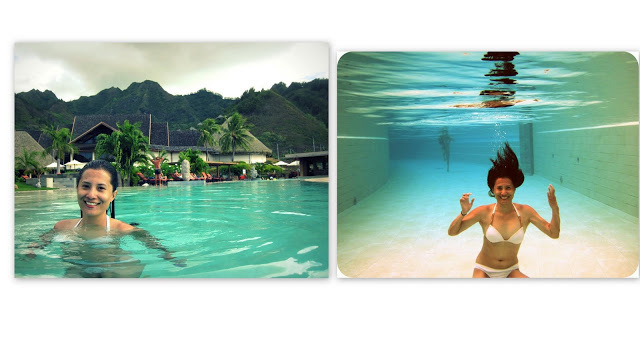 Because Moorea/Bora-Bora, or the whole of French Polynesia for that matter, is mainly a honeymoon destination, you will find that most people are indoors, or just engaging in very quiet activities. So it’s really such a relaxing treat float in the water uninterrupted for hours. from dull-face to troll-face. my arm underwater looks really freaky! Despite the marvellous lagoon and beach (natural pools! 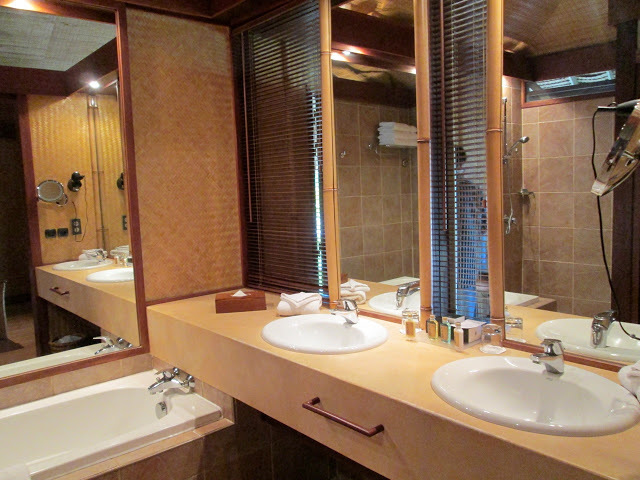 ), there is actually a very long pool in the hotel. While I will always choose the sea over the pool, it’s a good way to sort of desalinate yourself after a long, looong day under seawater. 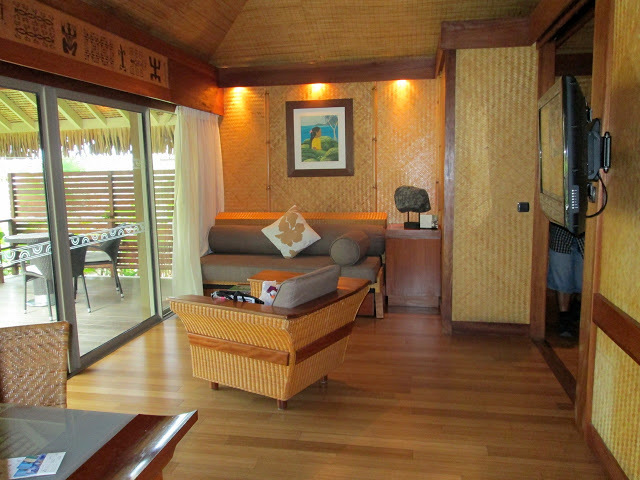 While we really had loads of fun staying at the beach bungalow, we had our eyes set on the overwater bungalow. 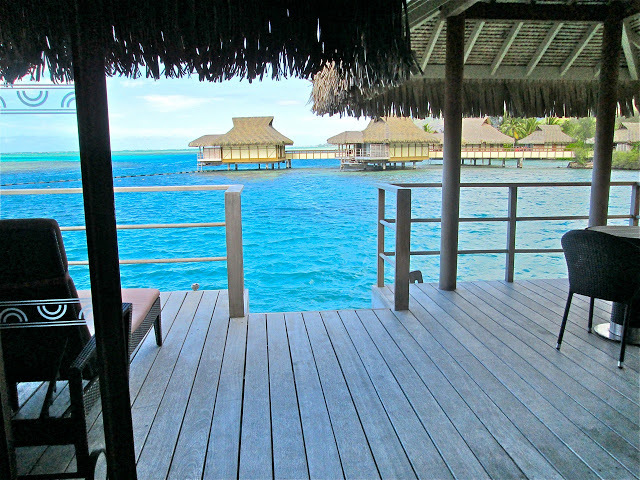 If we had this much fun at the beach bungalow, imagine all the cool things you can do in an overwater bungalow! 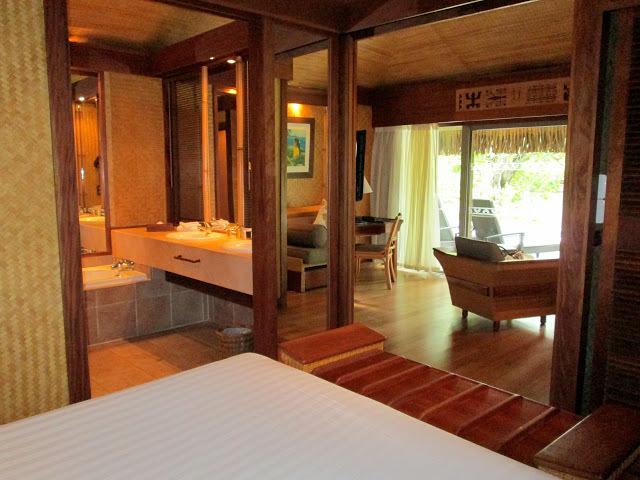 UPDATE: part 2 as we upgrade ourselves to an Overwater Bungalow at the Intercontinental Moorea Resort & Spa. 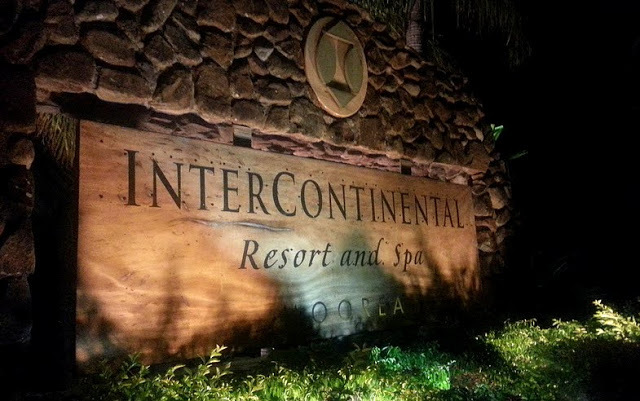 WHICH ACTIVITY DO YOU ENJOY THE MOST WHEN STAYING AT A RESORT? Wow! Another entertaining and highly readable post. 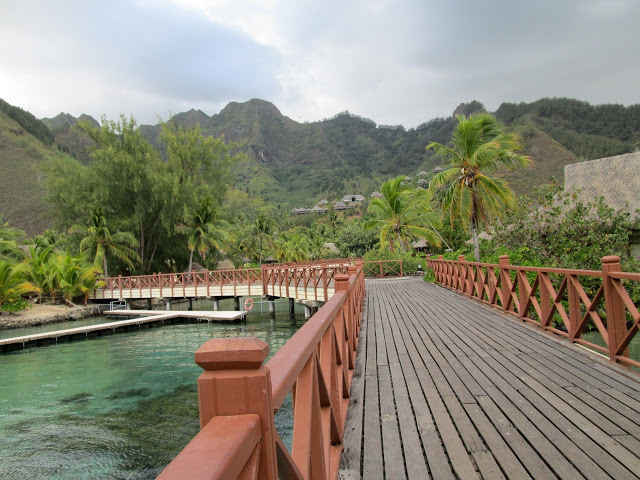 Reading this adventure makes me vicariously experience the beauty of Moorea (first time I read it, and it exists because of this article), admire the beach bungalow and its fun and secret inside (lol!). Indeed, life is a journey, an adventure, and a destination, and we should have fun in between along the way. Thanks Jean for keeping us entertained and absorbed.